Bullion Patch are individually hand made by skilled artisans. 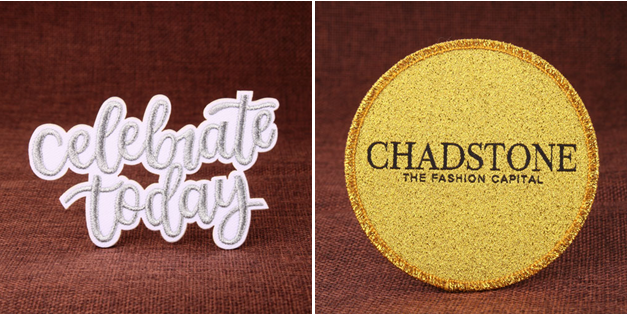 Bullion patch are used by elite clubs, military uniforms, golf clubs and more. They can be sewn directly to a jacket, but also are available with optional attachments, They are made from gold and silver wire beads with inlayed silk, felt, velvet, which allow for placement to a jacket by means of butterfly clasps or velcro. They are without a doubt the ultimate in emblems!. They are created using a combination of hand-stitched (usually black) fabric gold and silver bar lines on the fabric substrate. 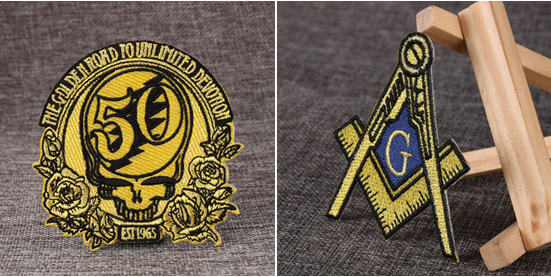 Their appearance is significantly different than ordinary embroidery patches. Gold and silver threads replace ordinary yarns or threads. They create elegance and provide an expressive way to express their connection with their organization. High Quality: They made from gold and silver wire beads with inlayed silk. they are individually hand made by skilled artisans. so if you want to high quality patch, chose our bullion patch! Different material: They have three chose for material. such as velet, felt materials and silk. Low Minimum order: They can accept low minimum QTY order, such as 100 piece .it is will be more attractive to customers. At GS-JJ.Com, we are always giving you all the best. Our Professional sales can help you create the perfect custom made patches for your needs. To find out more, call us toll-free at 18888644755 or email us info@gs-jj.com.